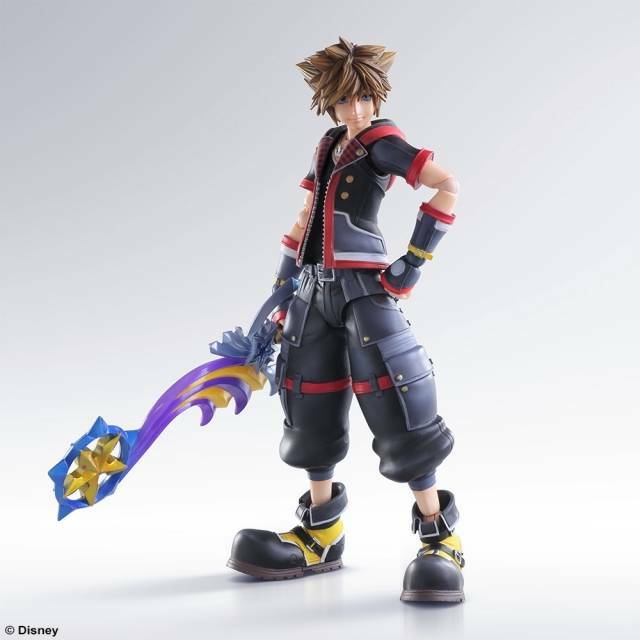 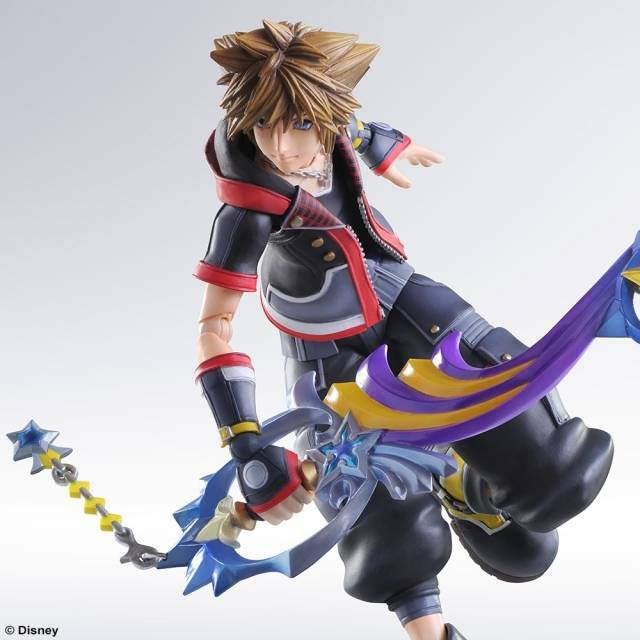 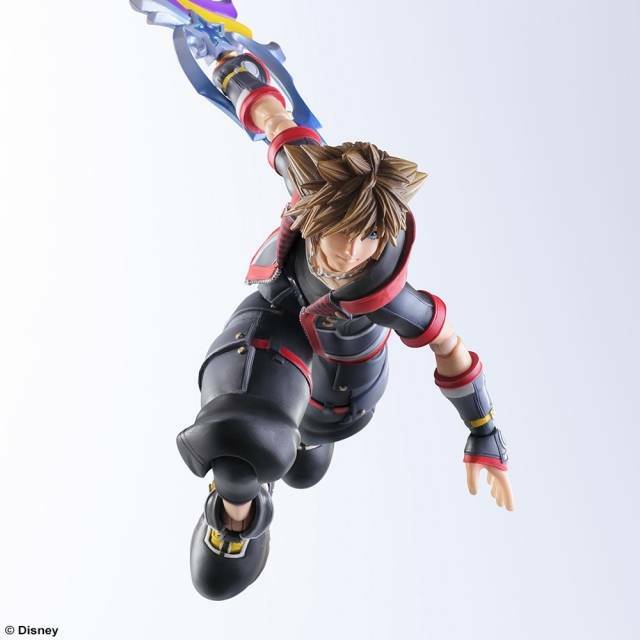 The costume design is based on the look of Sora's KINGDOM HEARTS II outfit, with the predominantly red and black color scheme of KINGDOM HEARTS 3D: DREAM DROP DISTANCE. 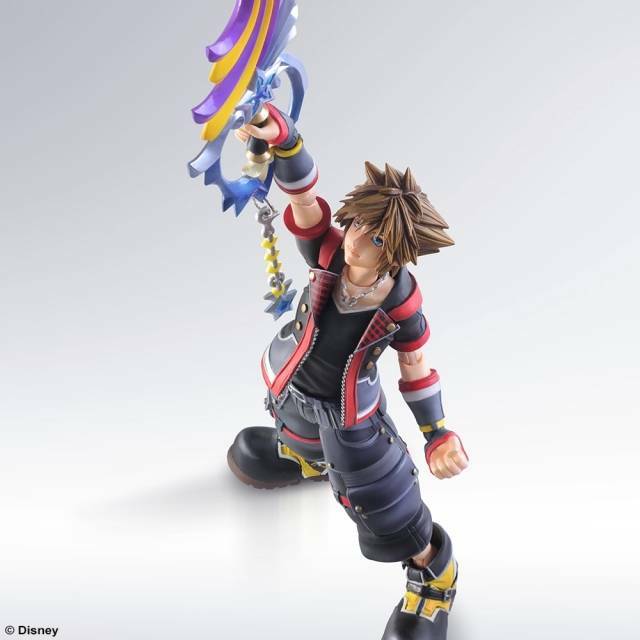 He is highly poseable due to the utilization of flexible materials. 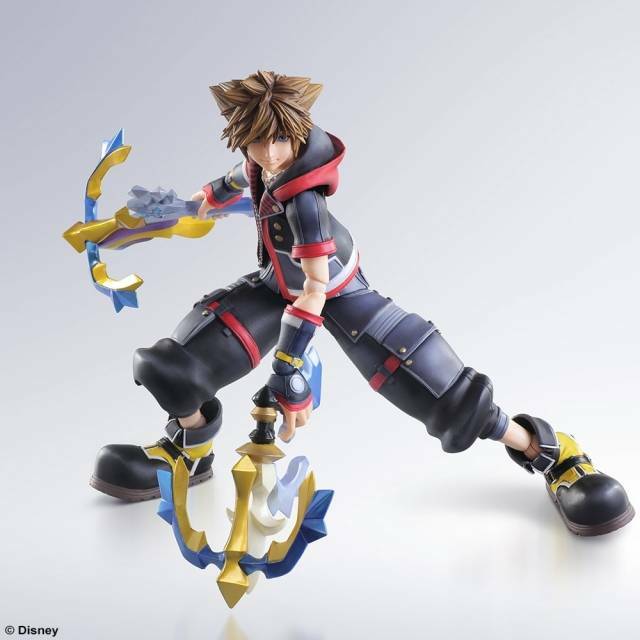 The Keyblade that can change form into a double crossbow - which could be called the trademark of this title - is also included as an accessory part. 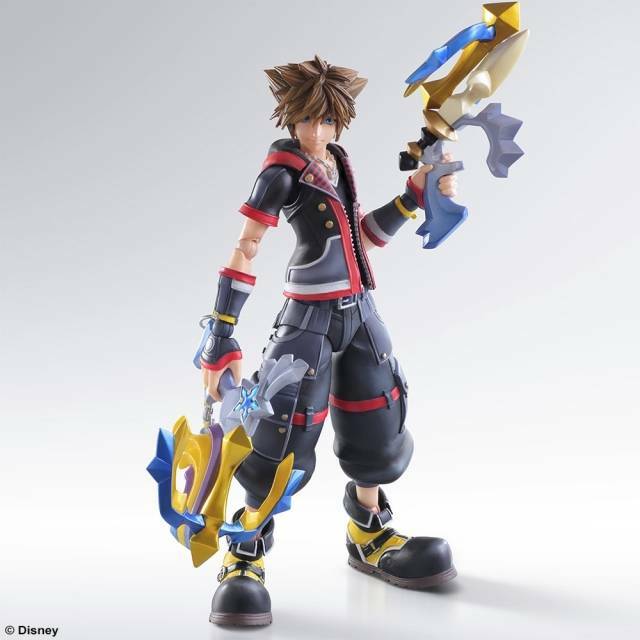 With all these features and more, this figure is certainly an eagerly awaited collector's item for fans.